Here are my post Christmas Pedestrian Mobile Ops way up North in Columbus, GA.. I was trying out the new pack . Looks like I need to do some adjusting to get the antenna straight up. I worked St Louis, MO and Galena, MD on 20 meters. They were solid contacts. My assistant was Chuck my Brother-In-Law. "click for enlarged slide show"
I am highly challenged to pare down my pack up for QRP portable. However, I think this pack will help. It was a good deal from EBay from seller 2010joeyc ALICE-LARGE-RUCKSACK-FRAME-LC-1-US-MILITARY-SURPLUS $29.99 free shipping. I have of course more than I need as pictured but it has most of my small QRP radios, tuners, antennas and so forth in it for my Christmas trip. I also found that it will work great for pedestrian mobile. More on that later. I got the idea of the pack from the Amateur Radio Pedestrian Mobile Handbook. You can download a pdf version from LuLu.com. The ARCI Holiday Spirits Homebrew Sprint was Sunday December 18th. This gave me a good opportunity to use my kit radios. Kits were considered homebrew for the event. My kits are the Wilderness SST and Wilderness Sierra. The sprint had a 5000 bonus for portable operation so I decided to operate out of the backyard. But it was a hard choice as to which antenna to set up. I finally chose my ground plane for 20 and 40 meters. I got to use the Deluxe Tenna Dipper to confirm it was setup right. I chose to start on 20 meters with the SST and worked OH X 2, PA X 2, MN, NJ and CA. 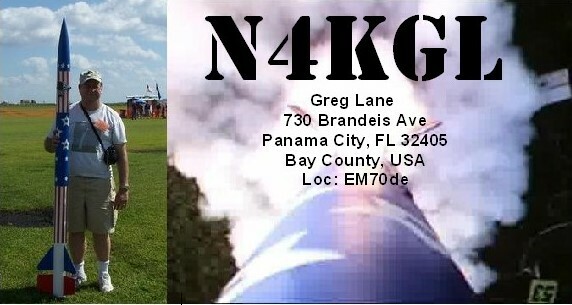 Then I switched to 40 meters using the Sierra and worked K4MTI "Pepto" here in Panama City FL, then Kelly K4UPG in Orlando FL and John K4BAI in Columbus GA. I enjoy the nearby contacts so this made my day. It was chilly in the backyard and it was getting dark I tried to get something going on 80 meters to make at least one contact for an additional 5000 point band bonus. However, I was unsuccessful jury-rigging the ground plane to work on 80. No joy. But a good session overall using the kit radios. There is always some extra satisfaction when the rig is a kit you built. I completed the Deluxe Tenna Dipper Kit from QRPkits.com. I can say the KISS principle is up held with this kit. Compared to the MFJ and other antenna analyzers it is more compact, less costly and very simple. I have had bad luck with analyzers going out of calibration. The simple bridge circuit inside this unit requires no calibration. When the LED indicator goes out or even dims you are ready to operate. So you can use it to adjust the length of your dipole or set the coil on your Buddistick antenna. Also you can use it to adjust your tuner before transmitting. Your rig will appreciate that. The build was one morning. There is one SMT part but it was easy. I did have an issue that the LED did not fully dim. After some troubleshooting I found that I had switched two leads on the toroid transformer. Now it works great and the LED fully dims. I signed up to participate in the Straight Key Century Club Sixth Anniversary Celebration. There will be K3Y stations on from the ten call areas for the entire month of January. Note the call K3Y represents "Key". I am signed up to be K3Y/4 during January 15 and 16. The times I selected are 0800 to 1100 and 1230 to 1530 Central or 1400 - 1700 and 1830 - 2130 UTC each day. This is a three day weekend for me. Our rocket launch is in Samson, AL on Saturday and I'll drive to Dothan Saturday night. Sunday I'll operate from my Dad's workshop still in Dothan. Monday I'll operate back home in Panama City. I could do the Sunday morning session at home and perhaps the afternoon from the W4RYZ club house. I am expecting this to be a real workout because I am usually the chaser not the chased. The K3Y event is a great time to get SKCC numbers if you are interested in their awards. The December 3rd South Alabama Rocketry Society (SEARS) launch was a good opportunity to test my pedestrian Mobile Setup. The Wilderness SST operates 14.057 +- 4 Khz. This is a good frequency to find other QRP and casual CW ops. I worked Don KZ8R in Sanford, NC, Art W8PBO Ravenswood, WV, and Dan W9DLN in Crivitz, WI. So I am very pleased with my PM setup and made a transition up and down the flight line. See pictures below with some of my rockets including Deuces Wild, Big Boy, and Gizmo. Also see more rocket launch pictures at this link.